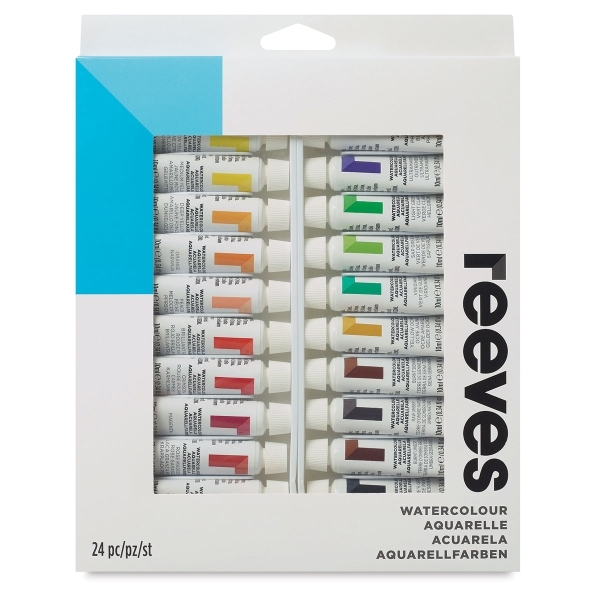 Reeves Watercolor Sets are ideal for scholastic users in the older grades or for adult beginners. 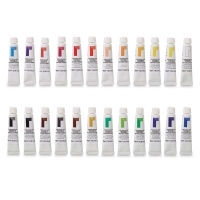 They provide quality color at an economical price. 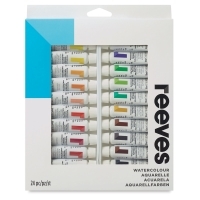 This set contains 24, 10 ml tubes including Chinese White, Lemon Yellow, Medium Yellow, Deep Yellow, Orange, Flesh Tint, Magenta, Brilliant Red, Crimson, Rose Madder, Violet, Cerulean Blue, Cobalt Blue Hue, Ultramarine, Phthalo Blue, Permanent Green Light, Sap Green, Viridian Hue, Yellow Ochre, Burnt Sienna, Raw Umber, Burnt Umber, Payne's Gray, and Ivory Black.